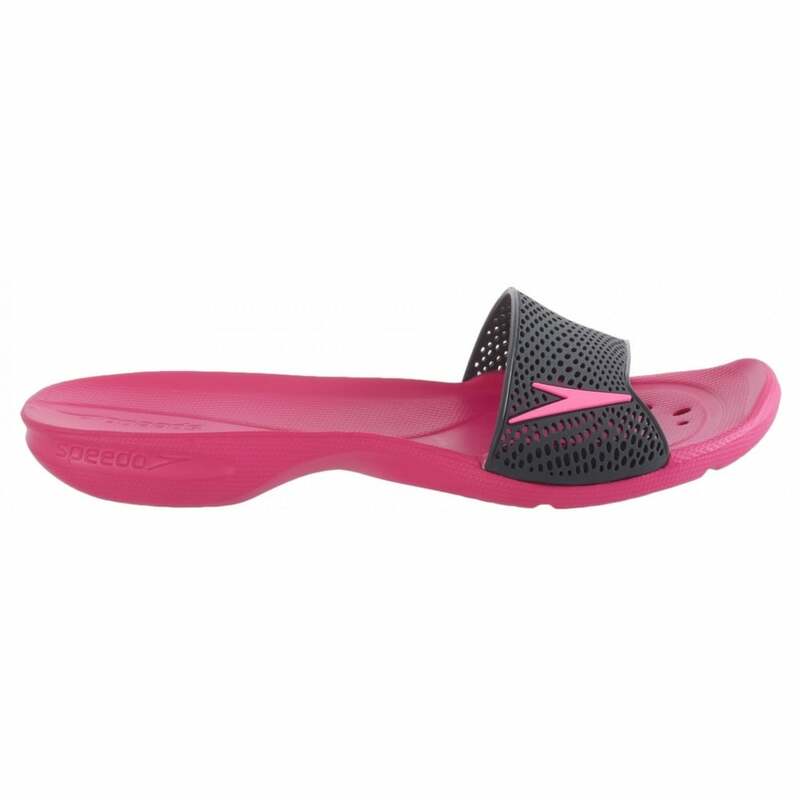 The Speedo Atami II Max AF slippers for women are comfortable bath slippers, that can ideally be worn while showering after exercising or in the pool. The flipflop prevents you from slipping. The slipper has a bendable footstrap on which the Speedo logo has been printed. The footbed is also perforated to let the water leak away.